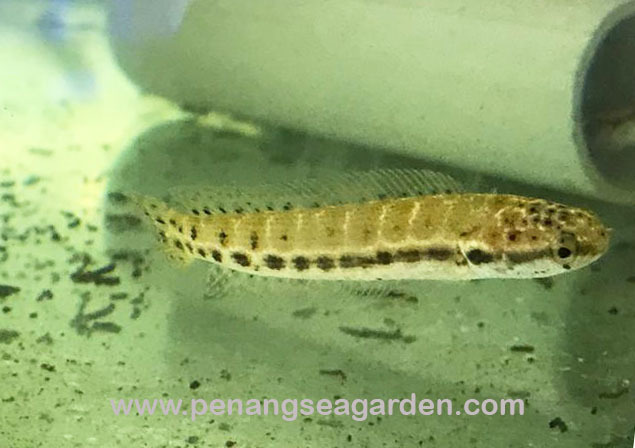 Home › Channa Bankanensis 鴛鴦斑 / 斑卡雷龍 3"
Many species of snakehead look very attractive as juveniles. Channa bankanensis is no exception from that rule. 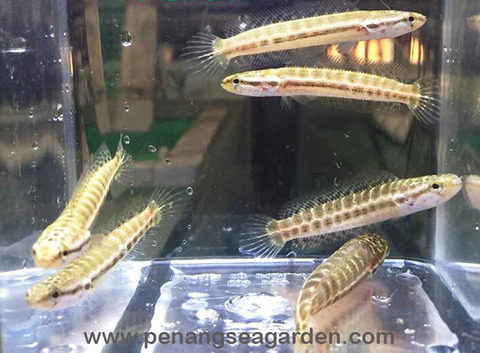 The reason for the sometimes extraordinary change in coloration is the behaviour. Juvenile Channa are usually schooling fish. 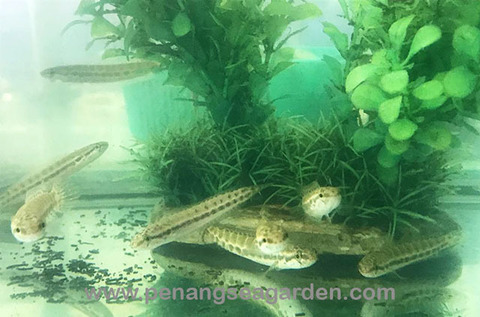 Depending on the species they swim in close schools up to a length of 3 cm or even 15 cm. 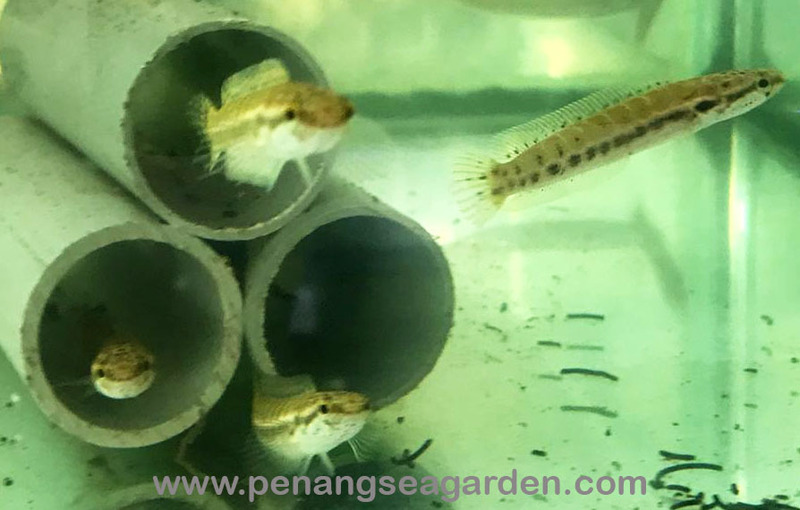 The contrasting juvenile coloration has two basic reasons: first, it helps conspecifics to identify other fish as members of the same species, and second it confuseses predators for the silhouette of the single specimen is only hard to detect in a school.